Apply +2 to your Health. 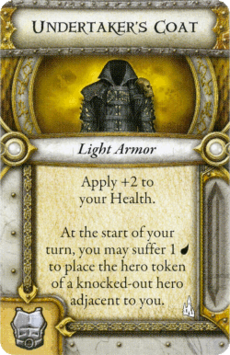 At the start of your turn, you may suffer 1 to place the hero token of a knocked-out hero adjacent to you. This page was last modified on 5 October 2016, at 21:50.